We all start our day in the bathroom, so when we wake up our bodies defenses have to start working right away to combat chemicals found in our soaps, scents and toothpastes. Chemicals are absorbed by the skin and cause so many health problems. 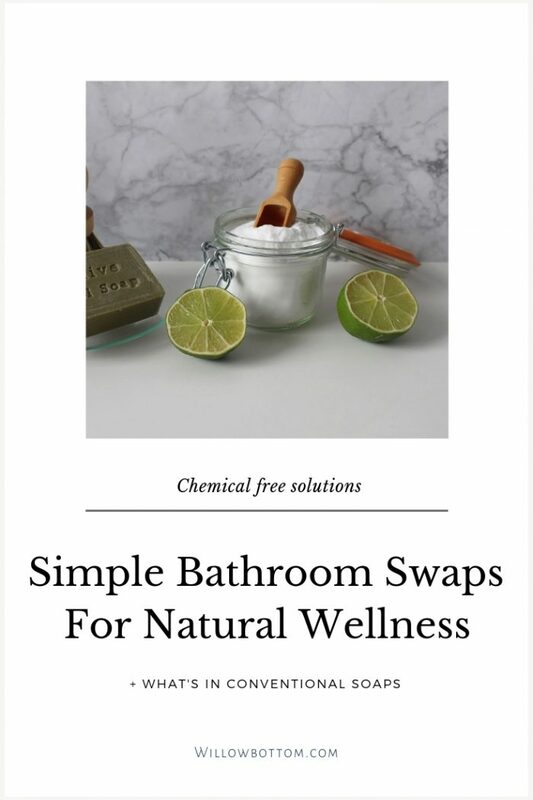 Swapping out conventional items in the bathroom with natural ones will help your body heal back to it’s natural state. This will leave us healthier and happier because we feel better. Next time you’re in the shower look at your shampoo’s ingredients. Can you pronounce them? If I can’t pronounce an ingredient, I don’t like to use it. Especially on my body. I’m not going to go in depth about the chemicals used in soaps and shampoos but these are the biggest ones I keep an eye out for. This ingredient is common in almost every conventional soap and most cleaners. It’s a cleaning agent that creates a foamy lather. Sounds good right? Well it cleanses, but it also strips your hair of it’s natural oils. Stripping hair of it’s natural oils causes your scalps natural PH levels to become imbalanced. This causes dry scalp, oily hair, redness and itching. These are used to keep soaps from becoming moldy. The problem is they have estrogen like effects. High estrogen levels have been linked to certain cancers in both men and women. Sodium lauryl sulfates and parabens are in almost every conventional soap and shampoo. Look for natural products. Let me tell you though, not all natural products are good to use. Some companies take liberties which is not okay in my option. So always check the label. I use Kirkland brand shampoo it’s sulfate and paraben free, vegan and PH balanced. For a store brand shampoo it’s really great! My hair has never felt better. If you don’t shop at Costco. This shampoo is amazing as well! 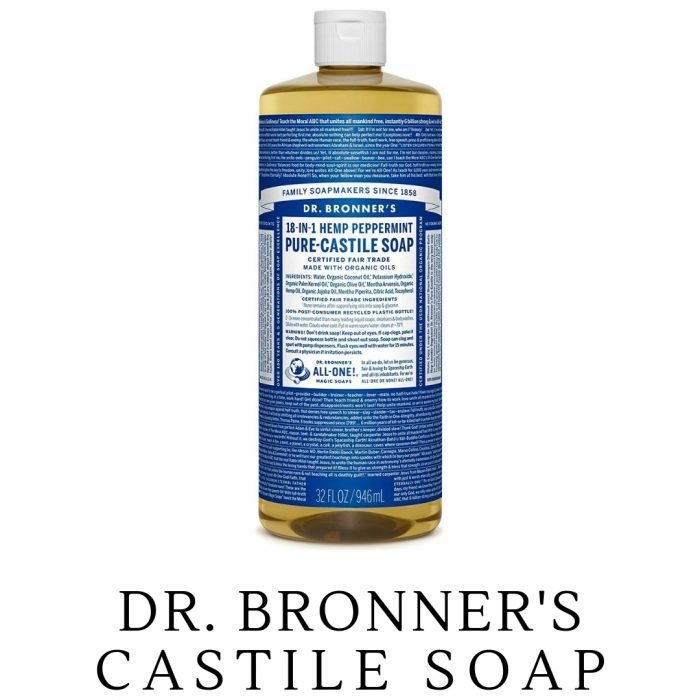 For my body and face I use Dr Bronner’s Castile soap. I love Dr. Bronner’s! My skin feels clean and my breakouts are few and far between since switching. If you prefer bar soap Dr Bronner’s has a great bar soap as well. A measure of acidity or alkalinity of water soluble substances. Deodorant is one of those products that is often overlooked. We all use this everyday. Some rely on it more than others but have you looked at what’s in your deodorant? Antiperspirants contain aluminum compounds. These clog your pores so you stay dry. Our body’s natural way of detoxing is by sweating. If pores are clogged your body won’t be able to release toxins naturally. Along with this you’re exposing your body to aluminum. Aluminum is toxic. It has been shown to cause breast and prostate cancers and has been linked to the development of Alzheimer’s disease. This is recognized by the FDA as a pesticide and yet, it’s found in almost all conventional deodorants. They include it to kill bacteria that comes in contact with the skin. This is another ingredient found in conventional deodorants. It’s been liked to causing damage to the central nervous system, the heart and liver. If this isn’t enough to convince you to stop using conventional deodorants, I don’t know what is. 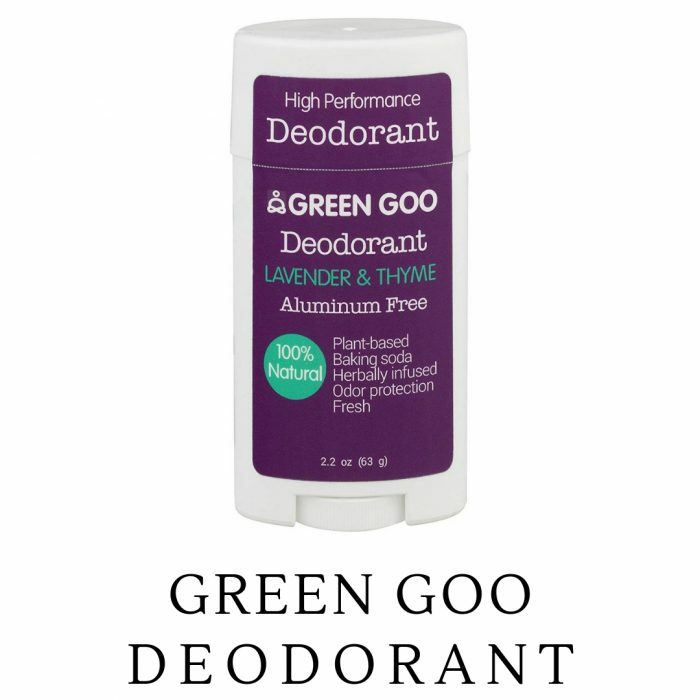 My husband and I have tried almost every natural deodorant out there. We even tried making our own. The only one we have stuck to is this one. It’s the only one that works for both of us. I love the lavender and the Rose scented ones and my husband uses the unscented along with a natural cologne. Conventional toothpastes are terrible for your teeth and your overall health. They mess up your mouth’s natural PH which results in bad breath, tooth decay and other illnesses. My husband and I made the switch to this natural toothpaste and haven’t looked back. 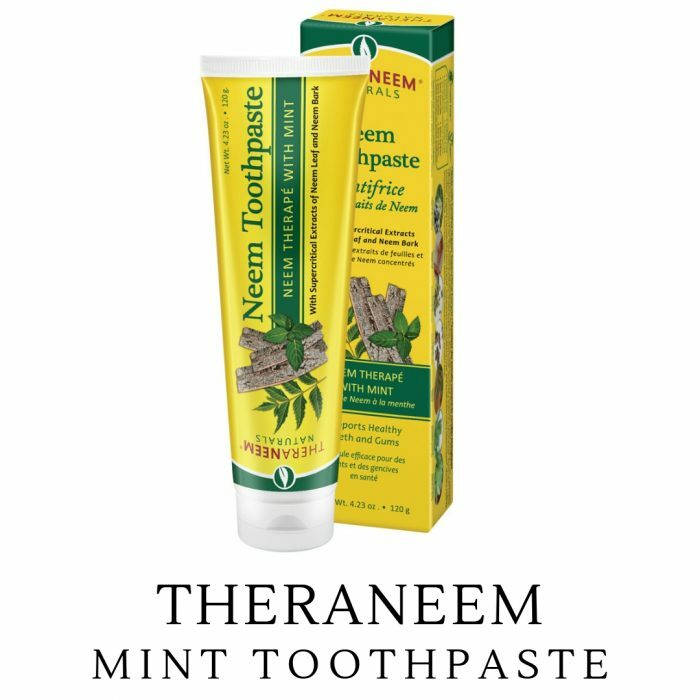 Neem bark is naturally antimicrobial and will help whiten teeth and freshen breath. It’s been used for centuries to combat bacteria that cause cavities, gum disease and inflammation. Mouthwash can also effect your mouth’s natural PH. I’ve tried a lot of natural mouthwashes, and a lot of them don’t work well, but this one and this one work great. Women get a larger dose of chemicals than men because of makeup, sanitary pads and creams, lotions, skin care products. Companies promise us the moon with how great their products are and sometimes we fall for it, and later pay the price with irritated skin, rashes and dryness. Natural skin care doesn’t need to be complicated or expensive. 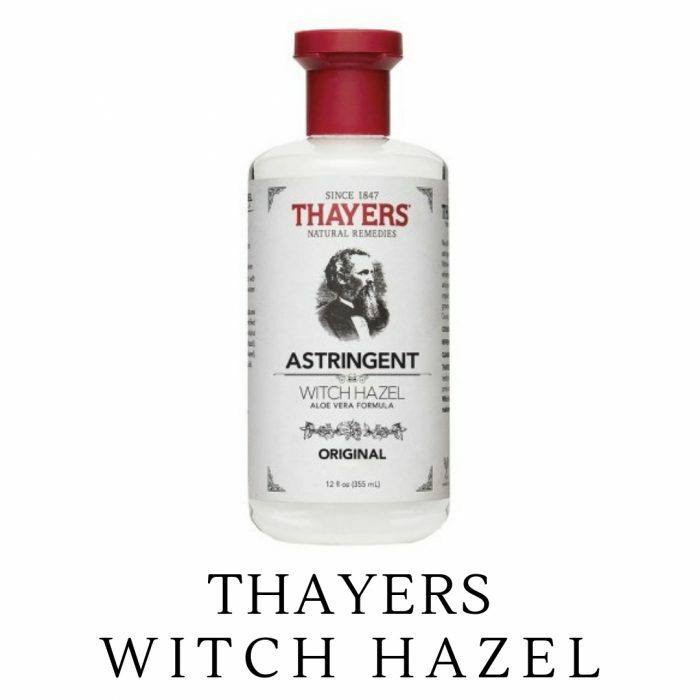 Use witch hazel as a cleanser and toner. You can find my favorite one here. This works great for men as well! As far as make up goes, it’s one of the worst things you can put on your body. Conventional makeup has so many chemicals, most linked to cancers and birth defects.. The good news is that there is natural and organic makeup available. 100% pure & Juice Beauty are brands I recommend. Sanitary pads and tampons are another product that are laced with chemicals and plastics! Absorption of the chemicals used in these products can have life threatening affects. Sanitary pads can cause cancer, yeast infections, infertility and birth defects. They contain bleach, pesticides and herbicides. Tampons can cause toxic shock syndrome. They contain pesticides and bleach. 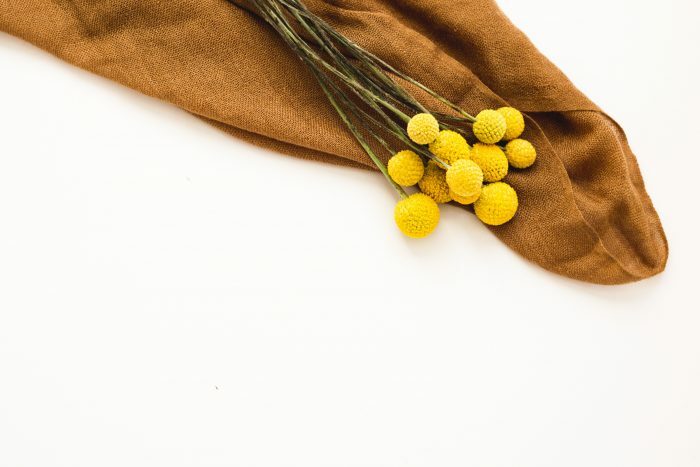 Instead of using these conventional products, switch to these organic sanitary pads, better yet, use these reusable pads. They’re even better for the environment. Some women use menstrual cups. I can’t recommend these because I’ve never tried them and they are made out of silicone which is not a natural product. My husband had been clean shaven ever since we met so many years ago. This past September though, he decided it was time to let his beard grow out and I love it! In letting his beard grow he learned how to care for it naturally. Since the hair on your face is different than the hair on your head, you need to take proper care of it. Shampoo alone will not do the trick. 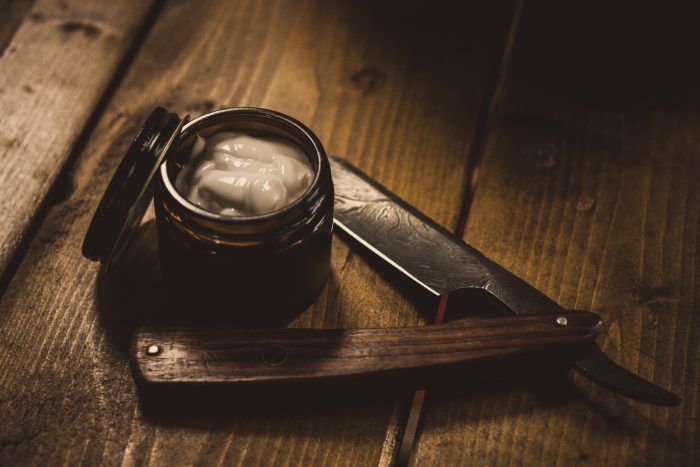 Beard oils are used to keep facial hair soft and healthy. The beard oil my husband likes is this one. It’s organic and smells fresh. If you shave look for natural shaving creams like this one. Finish your shave with a splash of witch hazel, like this one. My husband comments a lot about how much better he feels since we’ve switched to natural products. These simple swaps can have a huge impact on our overall health which we might not realize at first. Even though natural products can cost more than conventional products, I feel they are well worth it. Which natural products do you like to use?